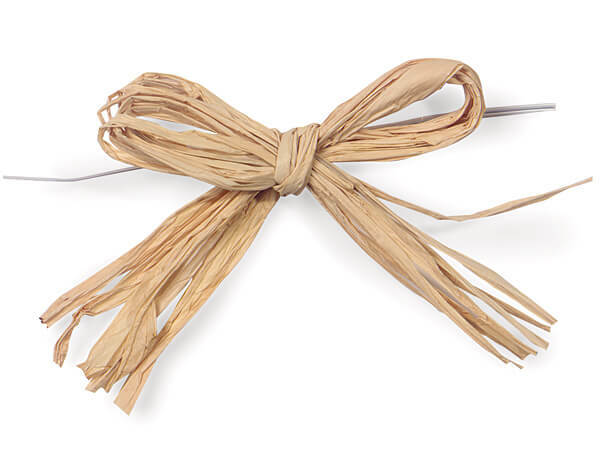 Buy More Pre-tied Paper Raffia Gift Bows Save More! Ideal for gift baskets, favor and treat bags, and general gift packaging, these pre-tied gift bows come with twist ties. Each bow is made from a biodegradable material made of cotton and wood pulp. These bows measure 4" across and have a 6" twist tie which make them quick & easy to use.